Finding the right plumbing service company in South Florida can prove to be very challenging especially with concerns on efficiency, costs, and more importantly, on safety. 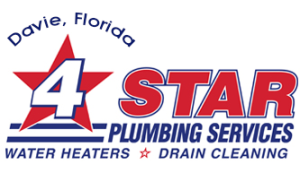 For a completely hassle- and worry-free plumbing and water heating services in Davie and the rest of Fort Lauderdale areas, come to us at 4Star Plumbing Services! We have been a trusted solutions expert for everything plumbing in Weston, Plantation, Pembroke Pines, Coral Springs, Parkland, Hollywood, and Pompano Beach. We pride ourselves on keeping a team of highly skilled professionals who are not only really good at what they do but who take the time to still improve themselves. 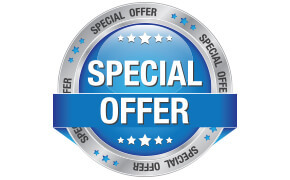 4Star Plumbing Services also make sure that you are well-informed of what you need, what your options are, and how much it would cost you. This springs from our commitment to effective communication. As far as safety and security is concerned, we are already one step ahead at making sure that you can trust our technicians: each one of them have been subjected to thorough background check so you can rest your worries and know that you and your entire household are safe in our hands. Schedule a visit from our technicians today! Call us at 954-776-9888 or fill up this online request form!